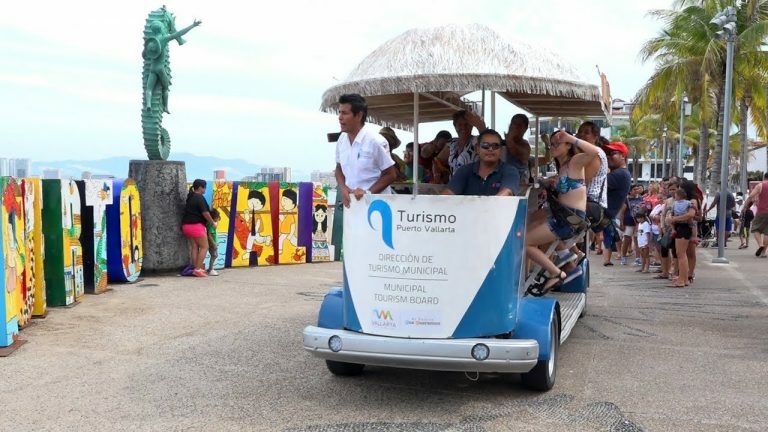 The municipal government of Puerto Vallarta, through the Tourism Department, has scheduled a series of activities that will give greater appeal to the downtown and will be an important attraction for tourists over the Easter holidays. Ramón González Lomelí, head of the agency, said that the city will provide activities that promote the destination over the Easter holidays, including four stages in the area of ​the pier, where visitors and residents will be able to enjoy, in the afternoons, pictures of Mexican folklore, music, circus shows, and other entertainment. To these events, the two ‘turicletos’ will be making trips for the enjoyment of the tourists, as well as the putting in operation a train that will offer routes to the families along the Malecon. González Lomelí announced that he is working on other events of great importance for the destination, which will be taking place throughout the year, such as beach soccer, a FIFA tournament for the qualifying rounds of the Concacaf, as well as the International Folklore Festival, where the attendance of five countries has already been confirmed; the Tennis tournament and one more edition of the Down Vallarta. There will also be the International Pyrotechnics Festival, with three venues, the Malecón, the IPEJAL site and the baseball stadium of the Agustín Flores Contreras sports unit, an eventwhere 450 participants from different countries are expected. “Vive Vallarta” will be held on the site of the Puerto de Luna hotel, an event that will have a handicraft show of states and municipalities, area of ​ games and food, as well as the installation of a theater for artistic presentations, and this time the installation of an ice rink is planned. “We have several projects for Easter and in the month of May, to continue promoting the destination; these are just some of the plans that we have, in addition to very important groups and conventions that will be arriving at the port,” he concluded. 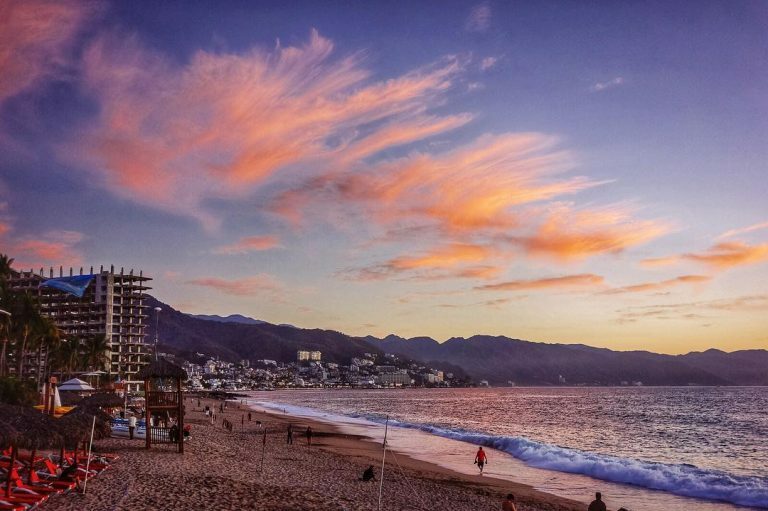 There’s no shame in looking for a sun-and-beach getaway in Puerto Vallarta and, with a comfortable 70 – 75 degrees average temperature for the upcoming spring months, it is the ideal place to relax away your winter blues. But for more active travelers, Puerto Vallarta’s location between the Sierra Madre Mountain Range and the Bay of Banderas provides multiple opportunities to help bring adrenaline levels up, too. Puerto Vallarta is drenched in natural terrains ideal for an endless array of outdoor activities. Water sports enthusiasts can choose from every imaginable activity, from snorkeling and scuba diving to kayaking, sailing, water skiing, stand-up paddle boarding and surfing. The abundant marine life in the warm Pacific waters of Banderas Bay are known to be a fisherman’s paradise, offering some of the best deep-sea sports fishing around. Cervecería Reforma makes a gose, a porter and an Irish red ale. Mexican craft beer may still only have 3% of the national market, but it is crushing it in Mexico City. Folks are clamoring for local beer, and while there has always been an abundance of breweries in cities like Guadalajara and Tijuana, until recently not many breweries were actually located in the heart of CDMX. These breweries have braved the traffic and chaos to bring capitalinos beer right down the street and around the corner and here is where you can find them. Making beer was just the hobby of a few of the Cru Cru partners until they banded together to open their microbrewery in the Colonia Roma. They now have a production area and a small taproom in a 19-century mansion in La Romita (with lots of intrigue sprinkled throughout the house’s pre-brewery history). Cru Cru always has four of their standard beers on tap as well a few innovations or collaborations behind the bar if you ask nicely (the gose made with worm salt is fantastic). Their most popular beer is the pale ale (it makes up a whopping 70% of their production), but founder Luis de la Reguera says his current favorite is the Cru Cru porter. While they don’t have a full-service taproom and bar just yet, which is what they are working towards, for the time being if you want to visit you can join my craft beer and taco tour (MexicoCityStreets.com), or join the twice weekly Craft Beer Turibus tour on Fridays and Saturdays, or come by the brewery on Thursday at 7:00pm for salsa class (no, you don’t have to dance in order to try the beer, it’s just when the brewery is guaranteed to be open). Started as a crowd-funding project, Falling Piano Brewery in the heart of Colonia Roma has 45 investors and two founding partners. In March of this year their set-up will be complete and downstairs will be the production area where you can get a tour and some beer-making 101. For now, upstairs is a warehouse-style taproom with space for about 100 people. The kitchen is a rotating pop-up — each month a new chef or restaurant is invited to create the menu. They have 15 beers on tap, all the Falling Piano brand, with classic Mexico City names like tu perro está ladrando (your dog is barking), an IPA, or the tusci pop, a fruit beer inspired by a traditional Mexican candy. These are some of the same folks that brought you HOP: The Beer Experience (see below), dedicated to bringing delicious beer to the masses of Mexico City. As founder Diego Lara likes to say, beer makes good moments better and bad moments bearable. Officially opened in 2015 and selling beer since 2016 the Cervecería Reforma is a high-tech set-up where you can get a hyper-detailed tour of the processing room and learn how they make their three styles: a gose, a porter and an Irish red ale. They are currently working on a fourth style so stay tuned. The name Reforma obviously refers to the city’s grand avenue but also, according to the brewery’s founders, the union of Mexico’s two strongest cultural influences – Europe, represented by Chapultepec castle at one end, and its indigenous roots, represented by the Templo Mayor at the other. These two sides of the Mexican psyche are represented in their beer as well. This cervecería doesn’t have its doors thrown open wide to the public (that is their next step), but is part of the city’s Craft Beer Turibus tour on Fridays and Saturdays and offers its space for group tastings and tours with advance notice. Ok so HOP is not a brewery, but the three city locations are great places to get craft beer. HOP 2 in Colonia Narvarte has 52 beers on tap, more than anywhere else in the country! They started out as a craft beer store and then slowly evolved into craft beer bars and beer gardens that import hard-to-find-in-Mexico craft beer from around the world. HOP 1 in Juárez is a cozy little beer cave, HOP 2 in Narvarte is a massive rollicking beer garden and the new HOP in Polanco is somewhere in the middle and a little more fancy, as you would imagine. A couple more spots for tasting craft beer: the relatively new Principiabrewing from Monterrey, Nuevo Leon, in Colonia Del Valle (Magdalena 311) currently has 12 beers on their menu, with a little over half the bar’s own brand. The Tasting Room (Chiapas 73) has also become a cult classic, their brand is Morenos and in addition to that they have a lot of United States craft beers on their menu. The tiny Beer Bros in Narvarte (corner of Luz Saviñon and Juan Sánchez Azcona) also has a wide range of craft beer from Mexico and around the world. 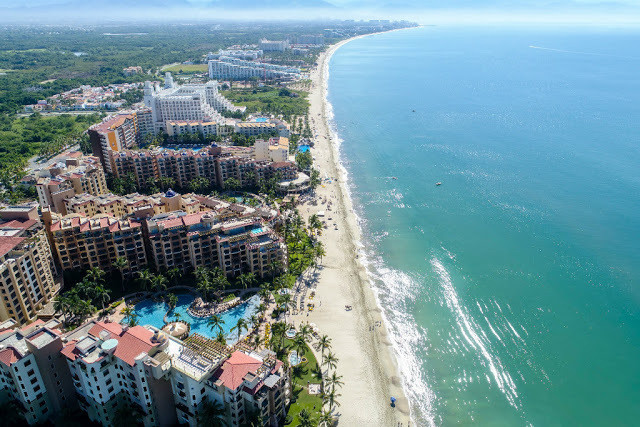 The new flight, which began ticketing on Friday, February 8th, will allow clients to travel to and enjoy one of Mexico’s premier tourist destinations and relax on its beautiful beaches. 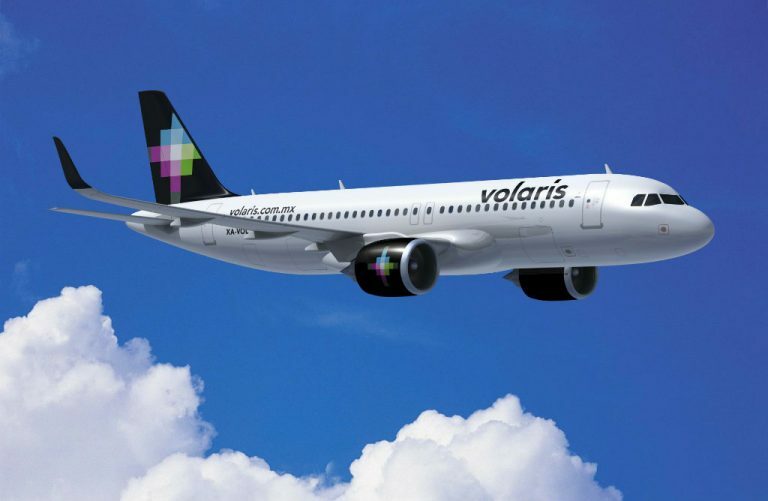 “The route between Phoenix and Puerto Vallarta allows Volaris to consolidate its presence in the international market, expanding its destination portfolio and positioning itself as the Mexican airline with the most flights from one of Mexico’s most important destinations,” said airline executives. The flight will be permanent with two frequencies per week on Fridays and Sundays. It will leave Puerto Vallarta at 11:08 a.m. arriving in Phoenix, Arizona, at 11:56 p.m. On its return flight it will depart Phoenix at 1:16 p.m., arriving back in Puerto Vallarta at 5:56 p.m. The airline expectations are high for the flight as this is a very important market not only of travelers of Mexican descent, but also of North Americans who reside in Phoenix and the surrounding areas and like to vacation in Mexico. The flight to Phoenix is one of several recent new flight announcements to the US and Canada, including the Sun Country flight from Las Vegas and the Swoop flight that began two connections earlier this year from Hamilton and Abbotsford, Canada. The Riviera Nayarit Convention and Visitors Bureau is very happy with this decision and wishes Volaris much success in the operation of its new route. The Southwest region of the United States includes the states of Arizona and New Mexico, as well as the western portion of Texas; southern Nevada, Utah and Colorado; western Oklahoma; and southern California and has positioned itself as an important market of origin for tourists to the Puerto Vallarta-Riviera Nayarit region, especially among travelers of Mexican descent who live in that area of the Union.